Learning is enriched through a variety of experiences within and beyond the classroom. While guided by academic standards and prescribed curriculum, teachers extend and challenge students' thinking as they build beyond acquired skills and knowledge. 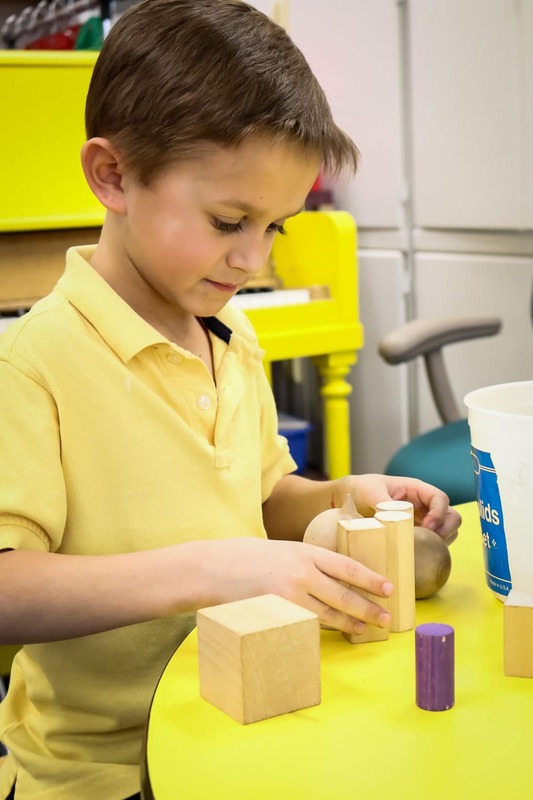 Immanuel offers a wide variety of supplementary programs to enhance academic success and social development. Through these programs our students have opportunities for challenge, achievement, and recognition for their exceptional God-given gifts. Our school is involved in mission projects throughout the school year. Some of our mission projects support local organizations while others support projects throughout the world. Each winter we partner with many other Lutheran schools in the Michigan District to support selected ministries. Students learn about a need and we find creative ways to engage the students in each project. Immanuel Student Council is made up of two elected students from each homeroom in 5th-8th grade. The Student Council members are elected by their homeroom classmates in early September. A monthly meeting is held with the administration of the school to discuss ways to improve the school, build school spirit, plan service projects, and to bring the concerns of the students to the principal. A monthly bagel sale by the Student Council is held to raise funds to purchase an item each year that will enhance the learning environment of the school for all students. Our top 5th - 8th grade spellers compete in our school Spelling Bee. Immanuel is part of the Scripps National Spelling Bee program. The winner of our school Spelling Bee goes on to participate in the Macomb Daily Regional Spelling Bee with the chance to advance to state and national bees. Our top 4th - 8th graders compete in the annual Geo Bee as they test their geography knowledge in the national competition through the National Geographic Bee. The winner of our school Geo Bee takes a written geography test with the chance to qualify for the state Geo Bee. Our 7th grade students participate in this annual class through the Macomb County Marine Division. Students earn their Boater's Safety License through this program as they learn about how to be safe on the water. 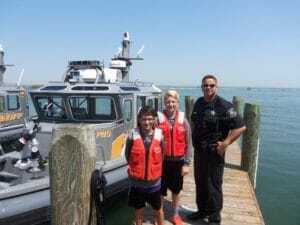 If students get a 100% on their Boater's Safety Exam, they get to spend a day out at the Macomb County Marine Division. Our preschool - 8th grade collects food items for Immanuel's Food Pantry, especially our Thanksgiving and Christmas food baskets. Our choirs sing to our senior citizen members and senior citizens from the Rose Senior Living Center each month. Our 5th grade students participate in this annual 10-week program though the Macomb County Sherriff’s Office. The class is taught one day a week and is followed by a graduation ceremony. DARE focuses on alcohol and drug awareness, healthy decisions, identifying and resisting peer pressure, bullying, cyber-bullying, prescription and over the counter drugs, and taking charge of one’s own life. Speech/Drama - Part of our 7th and 8th grade electives in our Fine Arts period. School Play - Our 7th and 8th grade students put on a production each year complete with setting, costumes, and a backstage crew. Plays and Musicals - Our lower elementary puts on a play on a rotating basis which includes multiple grades. Field trips to local venues are scheduled for each grade to extend and enhance the learning that takes place in our school setting. Visit our Teacher Pages for our current field trip plans. Each year our 7th grade students spend 3 days, 2 nights in the Fall at the Sherman Lake YMCA in Augusta, MI. Students are taught in small groups of twelve to fourteen where the emphasis is on learning by doing. Students are given responsibilities and challenges that promote high self esteem, respect, and cooperation. Teachers take an active role in supervision and participation in activities. 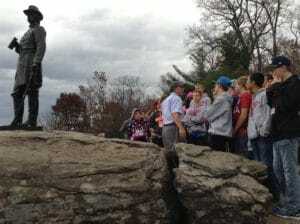 Each year our 8th grade students go take a 5-day trip to Washington D.C., Virginia, and Gettysburg, PA.